Baidu has two new German auto industry heavyweights on its side in the race to develop autonomous driving technology. Both Bosch and Continental are now partnered up with the Chinese internet giant to work together on not only automated driving, but also on connected cars in general and mobility services. 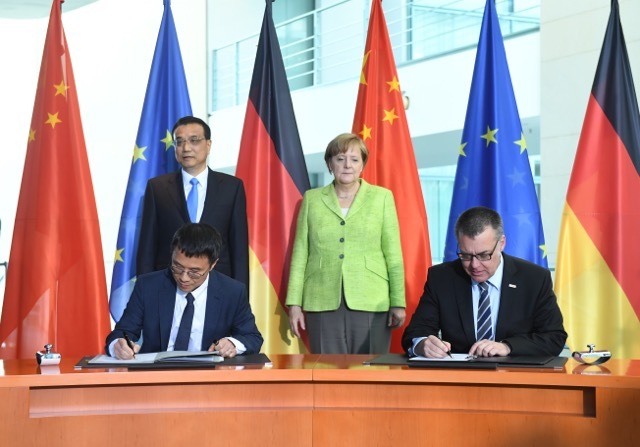 Both Continental and Bosch are key auto industry suppliers, and this partnership is about Baidu leveraging its experience in machine learning and computer intelligence tech, while its new partners within the industry will focus on spurring the hardware component and systems integration piece of the autonomous systems picture. Bosch, which is a Tier 1 supplier to essentially every auto maker of significance in existence, and Continental, while best known for its tires, also works on advanced driver assistance systems (ADAS) as well as the sensors used in automated driving. Bosch has also been developing automated driving technologies since 2011, the company says. As part of the agreement, Bosch will be providing sensors, other hardware components and vehicle localization support for Baidu’s Apollo open autonomous driving platform. These are key partners as Baidu begins to figure out how to commercialize its self-driving tech, which is what Apollo is all about. The platform would be available to OEs and other auto industry players, providing off-the-shelf vehicle autonomy without the heavy lifting.